In previous articles, we have talked in great detail about how to calculate the value of your case, which will include both special damages (or economic damages) and general damages (or non-economic damages). General damages, also known as “pain and suffering” are much more difficult to calculate due to their very nature. 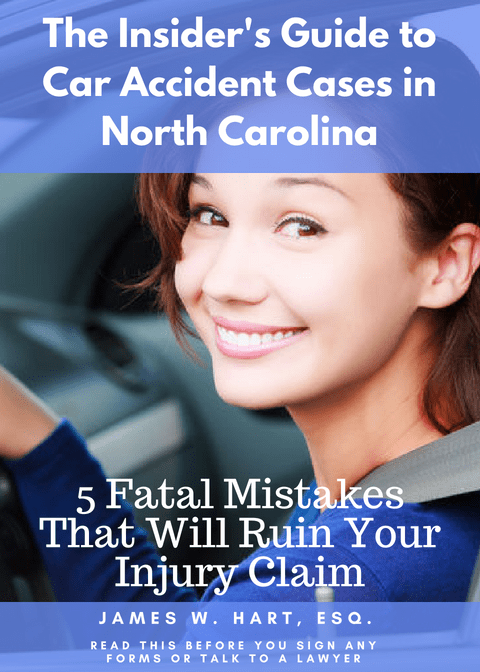 They don’t reflect actual out-of-pocket expenses – they reflect the value of the pain and suffering you experienced (and will continue to do so) as a result of someone else’s negligence. Any other trauma, whether emotional or psychological, which you experienced or continue to experience as a result of the accident. How to Calculate Pain and Suffering? Before you can start to even thing about making a calculation for pain and suffering in your case, you must first calculate your special damages. “Specials” as they are commonly referred to, include your medical bills, lost wages, property damage, and other out-of-pocket expenses. If you aren’t keeping track of all of these expenses in a journal or excel spreadsheet, it is important that you start doing so immediately. (If you hire a lawyer, we can do this for you through our case management system – we just ask that you send us the bills as you receive them). The evidence you have to objectify your pain and discomfort, and show what effect this pain has had and will continue to have on your life. Clearly, this is not a simple exercise. In many cases, we may use a professional to videotape a client undergoing therapy, daily routines, etc. to show what their current “normal” is and the type of pain and discomfort they have experienced. Medical tests can also be ordered to show your level of nerve function and indicate the amount of pain you are in or were in. But ultimately, the biggest problem with pain and suffering is that the only person who truly understands your pain is you. And getting an insurance adjuster to buy in to what your experience is can be difficult, but need not be impossible. Let’s say you work in a building with no windows. You have a co-worker that just got back from a meeting outside of the office. They are drenched from head to toe and warn you not to go outside because it is really raining. You can’t see that it is raining outside, but you can hear the rain on the roof and your co-worker clearly looks like they were in the rain. Then you check an app on your phone and see that it says it is raining. Even though you can’t visually see the rain, and you could never testify that you saw it raining outside, you have enough “objective” evidence that you are fairly confident that it is in fact raining out. The same is true with your physical pain. The adjuster or the jury can’t see or feel your pain. But you can present them with objective and persuasive evidence that will lead them to the only possible conclusion – and that is that you experienced a great deal of pain and suffering from your injuries and you must therefore be compensated for that pain. The longer the time period between your injury and when the pain stopped, the more compensation you should seek. If the time period between when you were injured and when the pain stopped was only temporary or of relatively short duration, then you should not seek as much money in your demand letter. And it should go without saying that if your pain is likely to be permanent, then the amount of compensation you will seek should increase exponentially. I don’t like the “multiplier” rule when it comes to determining the amount of general damages, but it is a good baseline rule of thumb to use as a starting point. What the multiplier rule says is that based on the type of injury you suffered, the amount of general damages will pay as a multiple of your special damages. In other words, if you suffered an injury that required special damages of $5,000, and we applied a 3x multiplier to that, then your general damages would be $15,000 and your total demand would be $20,000. I don’t like this method because it over-simplifies what is a complicated and often highly emotional damage calculation. For smaller accidents, this may be an appropriate calculation. But for more catastrophic cases, the multiplier may be insufficient to properly compensate you for your injuries. But regardless, here is a quick overview of several types of injuries and the possible multipliers that may be applied in those situations. Catastrophic injuries such as loss of limb, significant brain injuries, or death – over 5x the special damages. The more serious and catastrophic the injury is, the more like you are to need a lawyer to help you negotiate your settlement. People who represent themselves are often unable to see the value of their case, and are not as aggressive (or sometimes are too aggressive) as they should be in pursuing a settlement they are rightfully entitled to. For that reason, a lawyer can step in, provide you with an objective analysis of your claim, and help you maximize the value of your settlement without coming across as unreasonable. We tell all of our clients that they need to prepare a daily journal that outlines what they felt or experienced that day, and how their treatment went. They should indicate their level of pain (on a 1-10 scale) as they do different activities, and write about how their injury is impacting their life. In addition, if you feel like you are having mental or emotional issues related to the accident, you should seek out the help of a licensed therapist as soon as possible. They can provide a letter that outlines how the accident has effected you mentally and impacted your daily quality of life. As I mentioned before, I’m not a big fan of using multipliers to calculate your damages. And one of the reasons for this is that sometimes the amount that a multiplier gives you is inadequate to properly compensate you for your injuries. Here is a list of scenarios where you should seek additional compensation, over and beyond the amount that a multiplier suggests you should receive. You anticipate that your injuries will require extensive treatment, possibly multiple surgeries, and as a result they will impact your daily enjoyment of life well into the future. The more thorough and complete you are in evaluating your demand for damages, the more likely it is that you will be able to convince an adjuster to write you a check that is sufficient to compensate you for your injuries. And even if you can’t convince the adjuster, you will be well on your way to convincing a jury to give you the compensation that you are entitled to. However, remember that you should never fabricate or exaggerate the extent of your pain and suffering. For some reason, the truth seems to always come out. Lying about your experiences will damage your credibility and could adversely impact the amount of your settlement award.